At VOYSIS we enable computers to learn voices automatically. We don't need lots of laboriously crafted datasets; instead we focus on utilizing machine learning to create a broader range of voices and languages with a consistent quality. Specifically, the VOYSIS engine learns from raw datasets of people reading text aloud. Audiobooks are a good example of the type of data we use, where we have both audio and the corresponding book text. From these datasets the VOYSIS engine automatically learns to speak. I talk to David Andreasson the Director of Finance & Operations at Voysis. 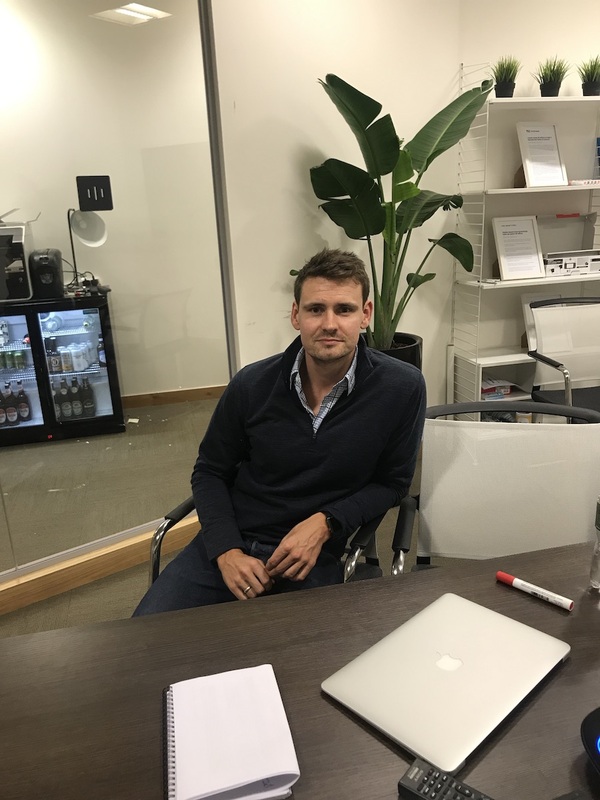 David talks about his background, how he managed to scale Voysis to 3 offices and help with their funding, and he gives tips for any Irish companies/startup’s that are looking to scale internationally. Voysis, the complete Voice AI platform company, today announced that it has developed ViEW - Voysis Embedded WaveNet. ViEW represents the next evolution of DeepMind's WaveNet technology making it available for use on any mobile device without needing cloud connectivity. Dublin-based Voysis has developed an offline WaveNet-based speech synthesis system that it claims is the first of its kind. Artificial Intelligence company Voysis today announced that it has developed ViEW - Voysis Embedded WaveNet. This is the next evolution for Voice AI. Voysis was founded by Peter Cahill and the company's platform utilizes speech recognition, natural language processing and understanding, deep learning, Voysis was founded by Peter Cahill and the companys platform utilizes speech recognition, natural language processing and understanding, deep learning, and text-to-speech capabilities, all of which were developed in-house. Peter talks about his background, what Voysis does, the differences between Voysis and Watson, and how Voysis works with different accents. Peter also talks about voice and AI, GDPR, how voice technology has improved over the past 20 years. Voysis, the complete voice AI platform company, has announced that it will open a new modelling centre of excellence in Edinburgh as their first UK base. The UK team will join a growing team of Ph.D. The car was once a physical embodiment of freedom and liberty, allowing us to drop everything and take to the open road. Today, it's a symbol of oppression -- a mobile prison cell where drivers "do time" as they sit in traffic on their daily commute. Over the next decade, this may change: Self-driving technology will allow passengers to focus their attention on other tasks. That same commute could become a source of great excitement, a private moment in the day for work or pleasure. Why Nudge.ai? Reach out to the decision makers at Voysis with a personalized email - let them know that you found their recent news mention interesting. Nudge.ai’s relationship intelligence platform can help you find the right executive to reach out to at Voysis, such as Peter Cahill, Founder, or Brian Colcord, Senior Director, UX and Product Design. Then get in touch and start a conversation. Executives can be difficult to reach, but every company has connectors who bring together people and ideas. At Voysis, people like David Andreasson, and Ian Hodson are likely connectors. When Voysis is mentioned in the news, Nudge.ai often sees topics like Strategy, and Design. If your conversation focuses on these topics, you’ll probably get Voysis’s attention. When Voysis is mentioned in the news, companies such as Spotify, Wayfair, and Fitbit are often also mentioned. These companies can serve as customer examples. Employees who are often in the news are usually open to starting conversations or exploring ideas. Nudge.ai's sales AI saw David Andreasson, and Ian Hodson from Voysis recently mentioned in the news. Voysis, a Dublin-based startup, said it’s shrunk the processing power required to run cutting-edge 'Wavenet' voice generation technology so it can work on a mobile phone or other consumer device even without a connection to the internet. Who in your network can introduce you to Voysis? Nudge.ai finds the best pathway to reach contacts at this company.